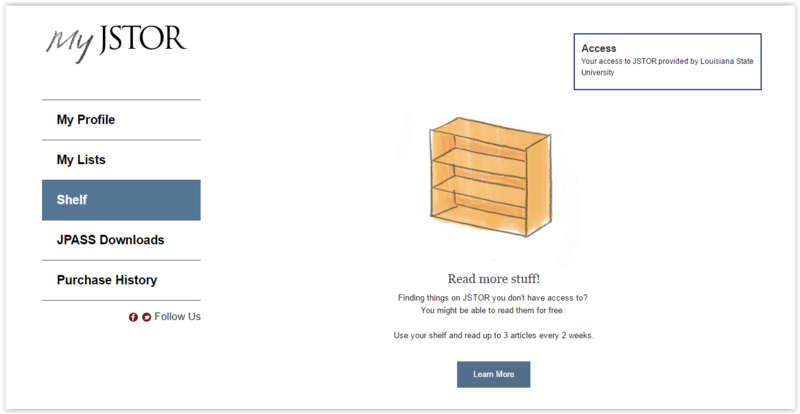 In JSTOR, you can save up to 3 articles on your shelf at a given time. After 14 days, you can remove articles and replace them with new ones. 1. Login to the JSTOR website. 2. 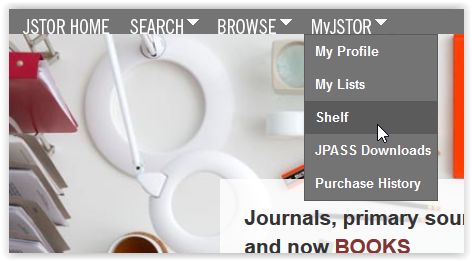 At the top of the window, select MyJSTOR | Shelf. 3. Your Shelf window should appear. This is where the articles that you saved to your shelf will appear.